In a speech earlier this week, the Prime Minister David Cameron gave his strongest avowal yet of the importance of using measures of well-being as a yardstick for making decisions. He stated how he wanted to lead a government that ‘actually think[s] about people’s well-being when we make decisions’ and that he wants the legacy of this government to be an increase in the nation’s well-being. And it would seem that these warm words are beginning to be backed up by action. The concept of well-being may be approaching lift off. ‘Right across Whitehall we are today applying to the design of policy the best that science teaches us about how people behave – and what drives their well-being’, the Prime Minister argued. To support this goal, last year the government tasked the Office for National Statistics (ONS) with developing a measure of overall well-being. We will see the fruits of this at the end of the year when, for the first time, we have a genuine measure of the UK’s well-being. But while the ONS measure will give us a good overall sense of national well-being, it is unlikely to provide the necessary level of detail required to evaluate individual policies and investments. For this we need other measures. That is where NPC’s Well-being Measure fits in. In contrast to the ONS’s measure, our tool works at the scale of a small group of ten or more. It can be used by charities, schools, primary care trusts or any organisation that works with young people to measure changes in well-being. And what’s different is that it is practical and developed with the goals and limitations of front-line organisations in mind so it accessible to almost everybody who wants to do measurement. 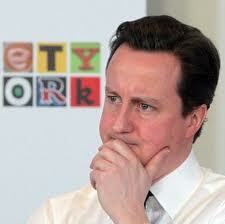 At NPC we support David Cameron’s wish to make the measurement of well-being central to policy-making. But this relies on finding a way of measuring what matters. 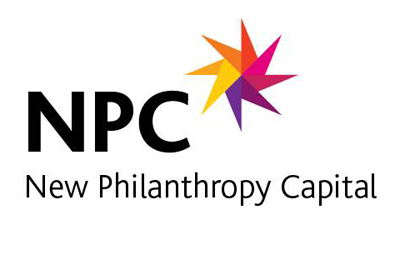 Through our Well-being Measure, NPC hopes to make an important and influential contribution. You can read a full transcript of David Cameron’s speech here.